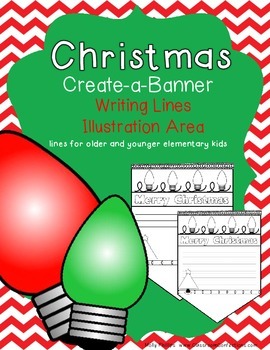 This is a simple Christmas banner that will make a cute bulletin board or hallway display The banner piece has writing lines and a small triangular shaped illustration area, or you can use that area for something else. I have included two banners. They have different lined areas for upper and lower elementary kids. 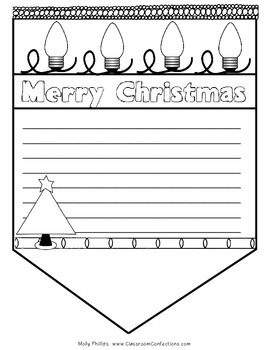 CLICK HERE to get this item in a BUNDLED Christmas pack at a reduced price. They can write something Christmas related, such as what they like about the holiday season, or you can have them do something like write a reading response, which would have nothing to do with the holidays.